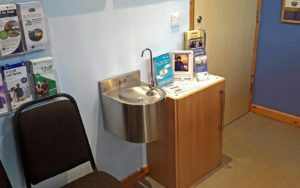 The Friends of Bentham Station (FOBS) are constantly looking for ways to improve the facilities at the station and have just installed a water fountain in the waiting and information room. 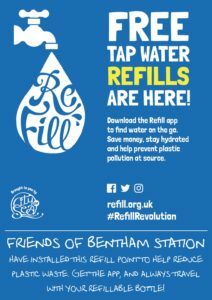 Their recent well-supported coffee morning, held in Bentham Town Hall, raised sufficient funds to cover the cost of the fountain, the associated plumbing materials and more. 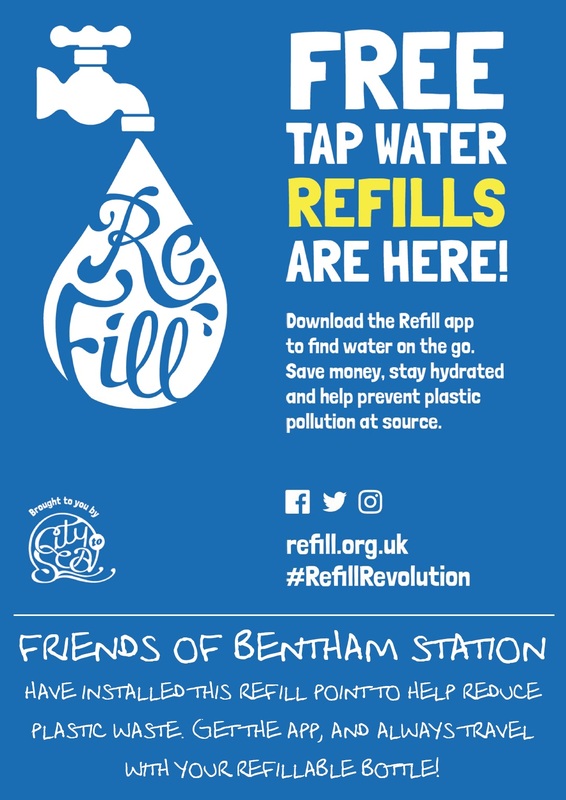 FOBS treasurer and secret plumber, Richard Wilson, made the final connections recently and Adam’s ale now flows for the benefit of passengers and station visitors. 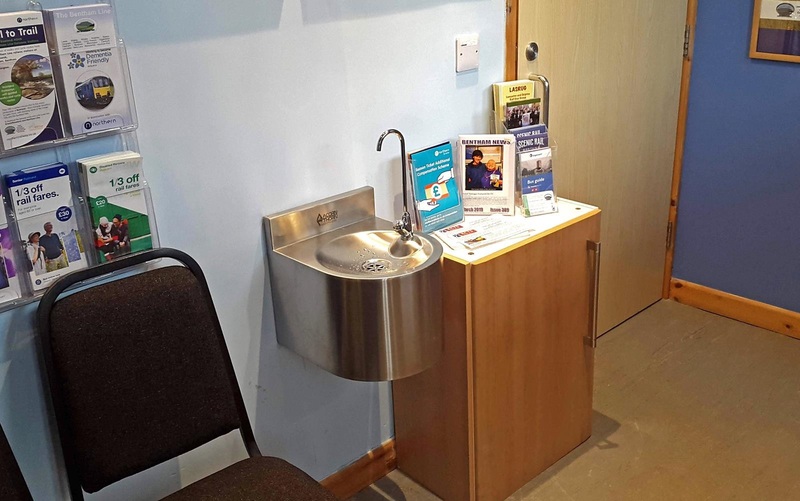 Whether it be for a swift drink or for drinking bottle filling, chilled local Dales water is available to refresh parts that other waters can’t reach. This a local group supporting a local idea with funds raised locally, topped off with materials from local suppliers and an in-house tradesman. That makes for a great community-based initiative!